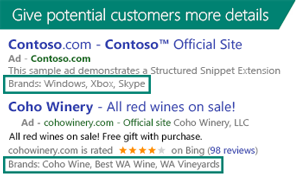 Use features that will help shoppers take action on your website. 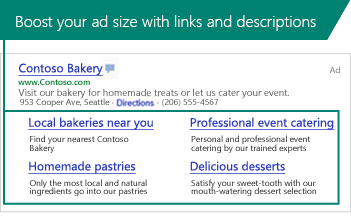 Add more links to help drive more clicks. Call out deals to help attract more customers. after they click your ad. Read the TaskEasy customer story to find out why this company uses Sitelink Extensions and Review Extensions to help increase conversions. Boosting your click traffic is simple. Our testing shows that Sitelink Extensions can increase click-through rates by up to 30%. Callout Extensions increase your ad size, which can help increase clicks and lead to more conversions.